An updated, repackaged edition of the bestselling divination tool and party favorite - ask a yes or no question, open the book, find your answer - with more than a million copies in print. Should you ask your boss for a raise? Call that cutie you met at a party? Sell your Google stock? Tell your best friend her boyfriend's cheating? 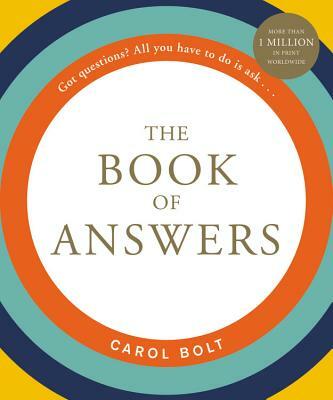 The answer to these questions (and hundreds of others) is in this fun and weirdly wise little book that's impossible to put down. It's simple to use: just hold it closed in your hands and concentrate on your question for a few seconds. While visualizing or speaking your question, place one palm down on the book's front and stroke the edge of the pages back to front. When you sense the time is right, open to the page your fingers landed on and there is your answer! Fun, satisfying, and a lot less time-consuming than asking everyone you know for advice. Over 1 million copies in print!